NATO has called on Russia to stop its attacks on the Syrian opposition and civilians - and says the country should focus its efforts on fighting Islamic State. The military organisation has also told Moscow to "cease and desist" carrying out what it called violations of Turkish-NATO airspace which it said was "irresponsible" and "dangerous". It comes after a Russian warplane flew into Turkey's airspace on Saturday, prompting Ankara to scramble two F-16 fighter jets to intercept it. 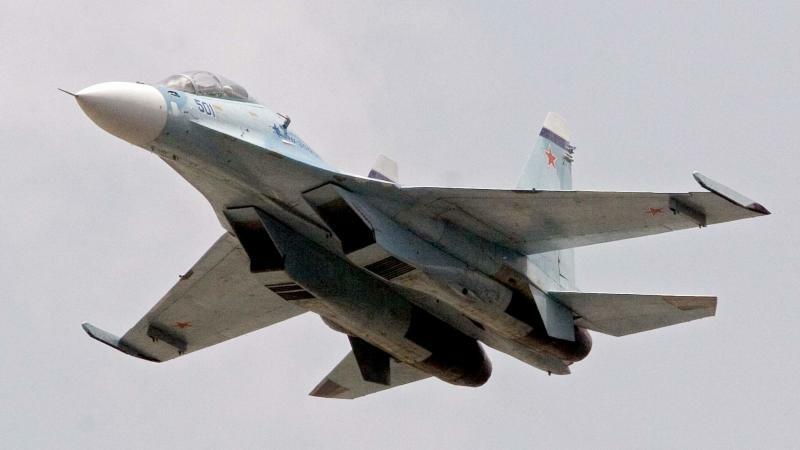 The Turkish foreign ministry said the Russian plane entered its airspace south of the Hatay region, near its border with Syria, while Russian's defence ministry was quoted as saying a Sukhoi Su-30 fighter jet was in Turkish territory "for a few seconds". Turkey later claimed a Russian warplane violated its airspace for a second time on Sunday. The US said Saturday's incursion was "reckless" and provocative. It also drew a public rebuke from Turkey as well as Britain's ambassador Richard Moore, who described Russia's move as "worrying". The Turkish foreign ministry summoned Moscow's ambassador to lodge an official protest, and to warn Russia that it would be held responsible for "any undesired incident" if it happened again. Turkey's Prime Minister Ahmet Davutoglu said his country's rules of engagement were clear - regardless of which country enters its airspace - adding that Russia has since described the incursion as a "mistake". Russia has faced strong international criticism over its role in Syria and its decision to launch airstrikes against rebel forces within the country. Turkey joined other countries, including the United States, Britain, Germany, France and Saudi Arabia, in issuing a joint statement on Friday, castigating Russia's actions. "[Russia's] attacks ... led to civilian casualties and did not target Da'esh [Islamic State]," the statement said. "These military actions constitute a further escalation and will only fuel more extremism and radicalisation." The West views Russia's involvement as trying to bolster support for Syrian President Bashar al Assad, but Moscow insists it is trying to weaken Islamic State. "The aim of our operations lies in providing support to the Syrian military's offensive in their struggle with terrorist and radical organisations and forces," Kremlin spokesman Dmitry Peskov said. Russia's Defence Ministry said on Monday it had made 25 flights in Syria in the previous 24 hours, hitting nine Islamic State targets. Speaking in Madrid on Monday, the US Secretary of Defence Ash Carter said Russia's support for Mr Assad was "doomed to fail". Turkey's President Tayyip Erdogan has also described Russia's airstrikes as a "grave mistake".